Join Chloe and Bryce on their fun-filled adventure learning to count. A day at their FUN class has them bouncing, jumping, popping, tapping and climbing all the way to number 10. You and your child can play along as the numbers come alive! When I first saw this book, I knew my son would love it because he is a very active little boy and so are the children in this book! I knew he would love all the fun and activities that Chloe and Bryce enjoy at their Fun Class! Plus, I love this book because it helps him learn counting and large motor skills like jumping, running, and hopping! My son loves to read this book and count along with the teacher and kids and I love the beautifully and fun illustrated pictures! 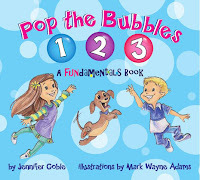 If you have an active child and want a book that relates well to them, then Pop the Bubbles 1, 2, 3 is the book for them! 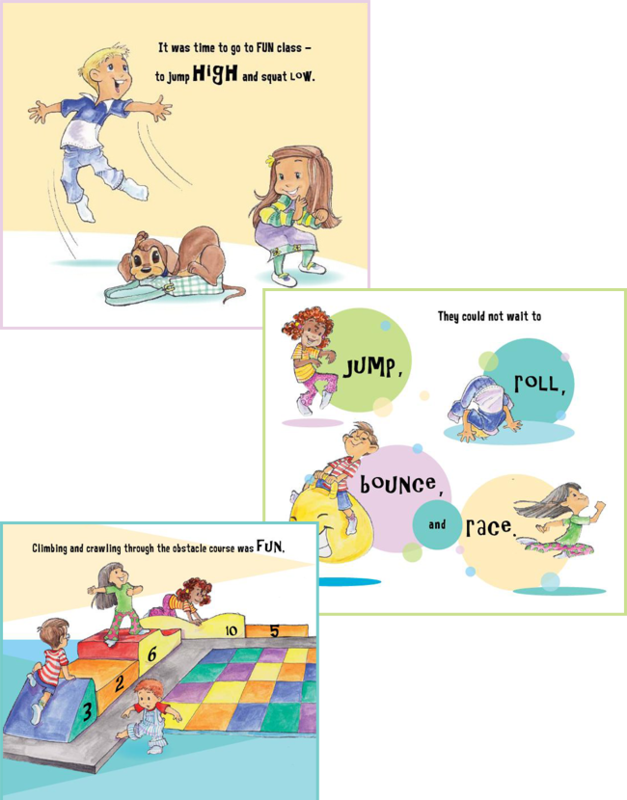 It is not only fun for them to read, it is also great for helping them learn and practice their numbers and get them up and active and practicing large motor skills! 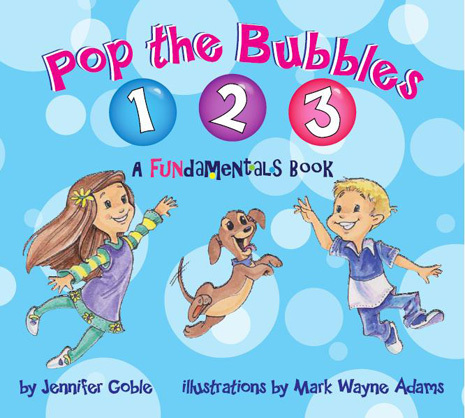 Buy It: You can purchase the Pop the Bubbles 1, 2, 3 book for $15.95 (+ tax & shipping) on the FUNdamentals website. We love reading Pop the Bubbles in our house - nice to see such a great review of the book. What a fun book! My daughter loves to read this book over and over. I also have given Pop the Bubbles as a gift and the children love it!! Great book for young children!! It is a favorite!! Fun, educational and illustrations are wonderful!